Cast: Johnny Pacar (Tommy), Shaun Sipos (Jack), Bryan Dechart (Dan), Alexa PenaVega (Skylar), Italia Ricci (Allison), Liz E. Morgan (Sam), John Pyper-Ferguson (Pastor Shay), Kim Pacheco (Nurse Rachel), Hayley Lovitt (Southern Belle), Erin Murphy (Linsey). Director Casey La Scala centers his movie on a group of friends where two of them are getting married. The movie starts from the saying of “I do” and everybody is happy for the newlyweds, when suddenly this celebration turns into tragedy and terrifying apocalyptic events. One by one the main characters are dying. After all these terrible things begin to happen, one of the main characters, Skylar (Alexa PenaVega), says, “I should not be here. I went to church, I did everything right…” This captured my attention. This phrase really should make us think about our faith. Some of the people go to church and for them it is just what they do on a regular basis, but some people are truly believers. The next part of the movie is all about these friends trying to understand what is going on with the world, who is responsible for it and how to survive. After some time, they realized that there is only two ways of ending all this torment. The first way is to choose the side of God and die, but leave this sinful earth and be with God. The other way is to not choose God and probably survive. So basically, characters are forced to examine life, love and faith by choosing between redemption and survival. The poor acting of some of the actors is one of the aspects that puts this movie in the “I don’t want to see it” list. I was disappointed in the acting; I felt that the actors did a poor job in playing their characters. However, the plot of the movie was interesting for me, but it was weird as well. The reason the plot was a bit unclear at times was because usually if you choose God it means that you supposedly should survive. Director Casey La Scala chose to interpret this concept and show it differently. It might have some sort of sense. People are sinful and so many terrible actions and deeds made by humans so God chose to “restarted” the life and do the purification (redemption). Overall, this movie was well filmed but the acting and plot was not the greatest. 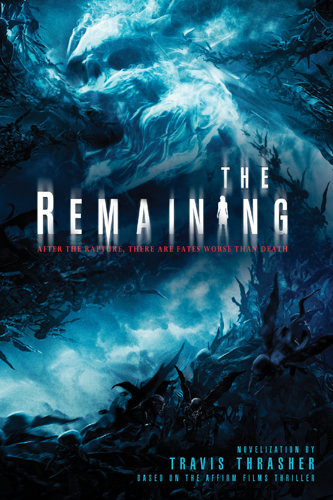 You can watch “The Remaining” in a movie theater that locates near you. Just go to http://www.fandango.com/theremaining_175131/movietimes to find out the closest location.